Cartier Baiser Vole is so skillfully emphasizes the real femininity and passion. 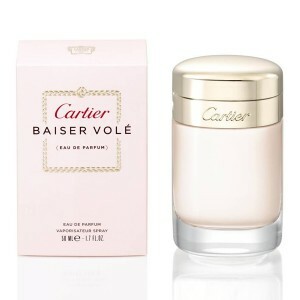 Cartier Baiser Vole 100ml. Eau De Parfum is a captivating oriental scent for women with a sensual accent of fragrant lily. Discover unprecedented charm and seductiveness. With perfumed Baiser Volé water it will be a toy for you. The free essences of rare flowers, where the stunning lily fits in all the ingredients, will simply excite you. Another celebration of feminine beauty from the popular Cartier brand also has a beautiful bottle design that will delight in one eye. Cover your body in the amazing veil of sensuality and strange longing. Nothing will please you like Cartier Baiser Volé! The passionate galbanum blends with the distinctive aroma of lily, the intensity of which penetrates the full perfume. In the heart you will find a charming rose that will give you a luxurious touch of elegance. At the end, it is more sensible to feel sweet vanilla, whose soothing tones stroke your mind for a pleasant time. Men and women all over the world love the quality and personality of fragrances that are full of flowers, fruits, rare spices and exotic woods. 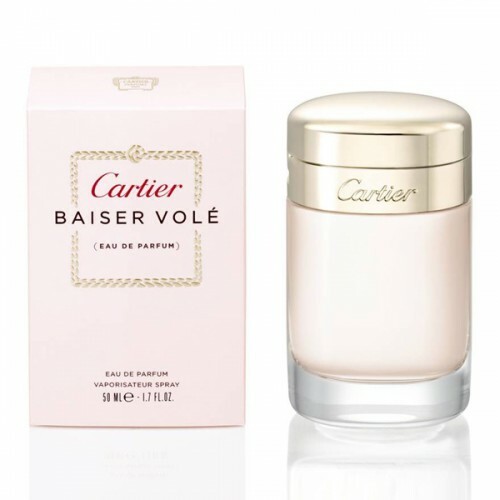 Perfect and very good perfumed Cartier Baiser Volé water is the only choice for women who love their body and are not afraid to show it. Get an unprecedented charm and seduction through a noble lily that penetrates the full scent of Cartier. This is a new trend of elite perfumery, when the authors give the fragrance the opportunity to be as natural and direct as possible. Only a gentle cloud of the new Cartier radiates tenderness and grace, the effect is stunning, it can be compared to a minimum of makeup, which however is stitched by masters. You will appreciate the new fragrance, white lily is responsible for tenderness and grace, and green shades are responsible for enjoyment and serenity.